Travelers visiting Jerusalem for the first time are met with an abundance of historic sights, ancient establishments, and antique architecture. The powerful image of these marvels allows them to genuinely connect with the City of Jerusalem – its culture and its people. However, the historic antiquity is just one component of Jerusalem’s complex story. As capital of Israel, the new, modern and renovated shopping malls, cinemas, and institutions of the Israeli government are equally important when considering the diverse composition of Jerusalem. Embedded in this diverse theme of old and new – ancient and modern, is the spirituality of the city. As the epicenter of religion and the backdrop of so many theological stories, Jerusalem is home to various religious groups who live side-by-side, creating an intermingling of cultures that I have yet to witness in any other city. Ancient stone synagogues, lavish Churches and opulent Mosques are aligned side-by-side with modern institutions – a complete picture of Jerusalem and the city’s empyreal charm. The Inbal Jerusalem Hotel draws inspiration from the surrounding city. Our historic outward appearance with Jerusalem stone walls, and our extraordinary culinary creations interact harmoniously with the theme of the city’s rich, ancient culture. Yet our modern amenities including recently updated rooms and family upgrades meld seamlessly with the city’s contemporary concepts. In order to maintain the highest quality of service, the hotel will continue further renovations commencing in early 2017 with scheduled completion in early 2018. When completed, the Inbal Hotel, with plans for 50 additional guest rooms, will boast 333 total rooms. 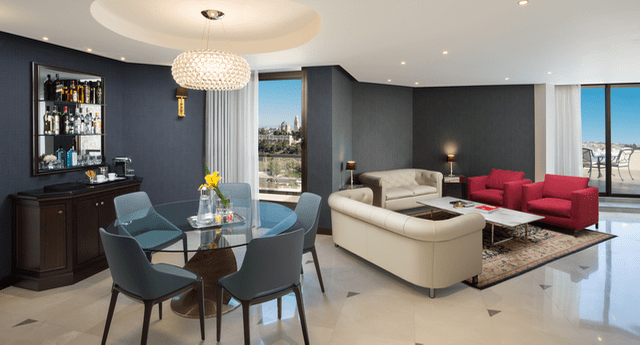 While the upgrades we’re installing allow The Inbal to ensure our guests enjoy the modern conveniences of a luxurious stay, we know our hotel guests also need to experience the authenticity of Jerusalem. Our rooms offer amazing views of historic Jerusalem including the Old City, and our restaurants guarantee authentic and unique culinary experiences. Led by renowned chef Nir Elkayam, diners experience modern. elegant and savory cuisine that is endemic to Jerusalem, yet inventively created using the freshest of ingredients. The charm of Jerusalem, in part, is how the city caters to divergent groups of travelers as well as its residents. Like the Inbal Jerusalem Hotel, the city is a vibrant and trendy destination – where all are welcome to come and experience its dynamic energy – whether for relaxation and rejuvenation, cultural infusion, or exciting adventure. 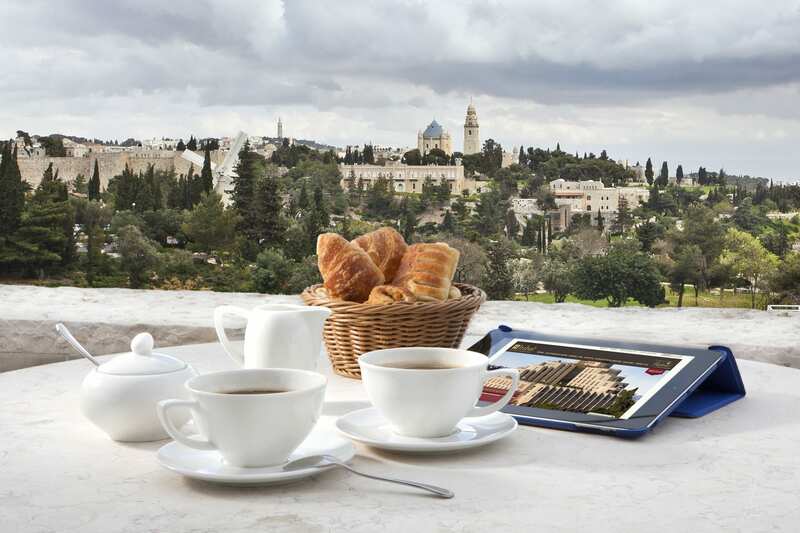 Amenities at the Inbal cater to different groups and mirror the flexible nature of Jerusalem. We have the only indoor/outdoor pool in the city, allowing it to be a 365-day amenity. Unique and desirable, the hotel’s pool allows our guests to unwind, escape, and enjoy their surroundings. Guests can also indulge at The Inbal Spa and Wellness Center, the only spa in Jerusalem that is a recognized member of the International Spa Association. An extensive menu of relaxing massages and treatments is offered in addition to wet and dry saunas, a separate children’s pool, and advanced Technogym® equipment including treadmills with touch screen TVs, exercise bikes, elliptical and free weights, and the supervision of certified personal trainers. 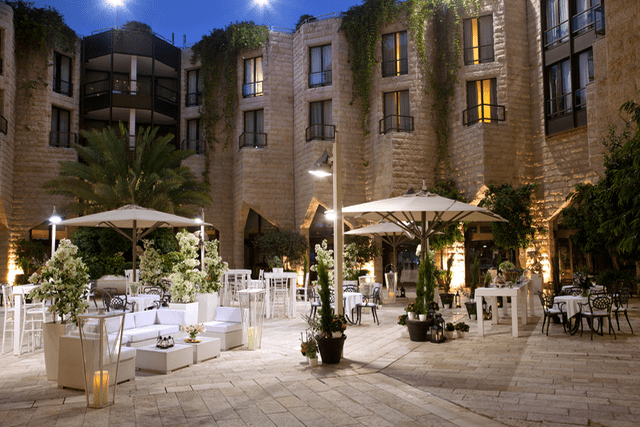 The Inbal Hotel also has one of the largest function spaces in the city. The conference center includes premium meeting facilities suitable for a wide range of engagements. Tech-friendly conference options and state-of-the-art audiovisual equipment make our property an incredibly appealing destination for meeting planners. Business travelers can enjoy our unique executive lounge with extended hours, free libations and our five-star cuisine. The forthcoming upgrade will also include a new larger terrace, doubling the space our guests currently have to enjoy those iconic, breathtaking views of the Old City. The terrace will also have the capability to be transformed into an outdoor event venue. Using modern technology, a 24/7 camera will also be positioned at the Old City, offering guests the opportunity to enjoy the city’s ancient scenery at all times of the day. 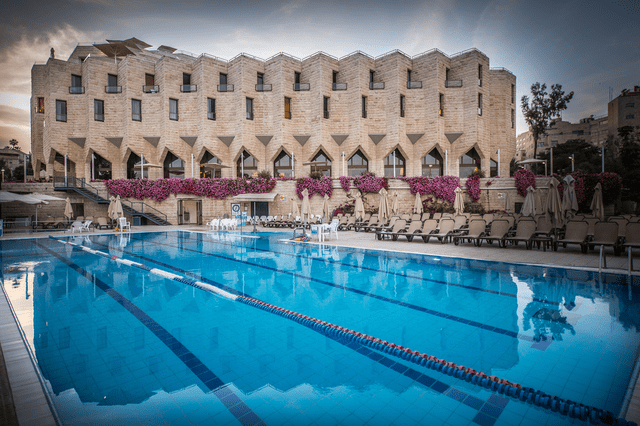 The award-winning Inbal Jerusalem Hotel has long been a staple in this multi-cultural Israeli mecca, and the property’s upcoming renovations will continue to interweave the modern, world-class amenities of our exclusive hotel with the rich culture and backdrop of this ancient city.